Donating to a charity close to a couple’s heart, in lieu of wedding favours, is becoming increasingly popular. 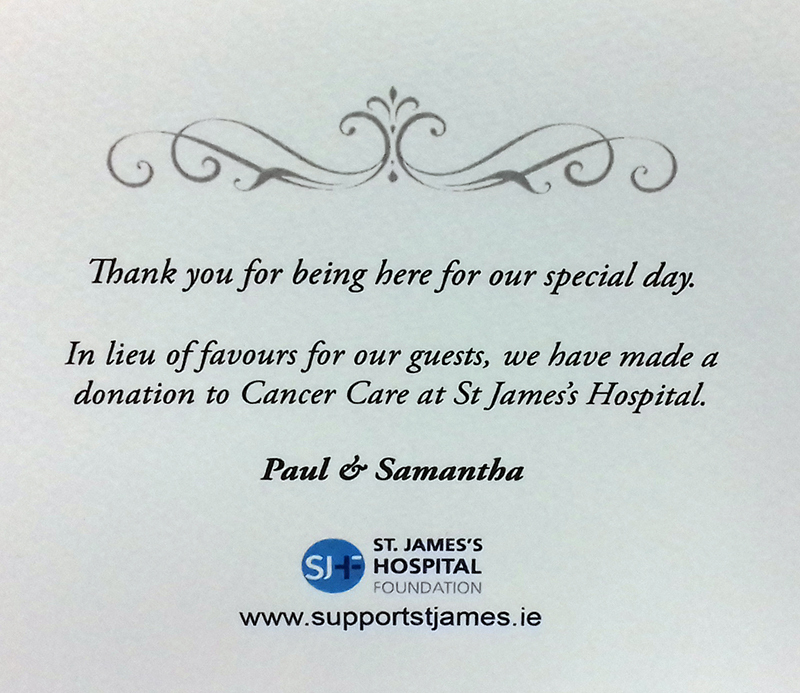 Your guests will really appreciate the kind gesture and thought on your special day. With a long list of decisions to be made in the planning of a wedding, ticking the wedding favours off the list, is one more task done! 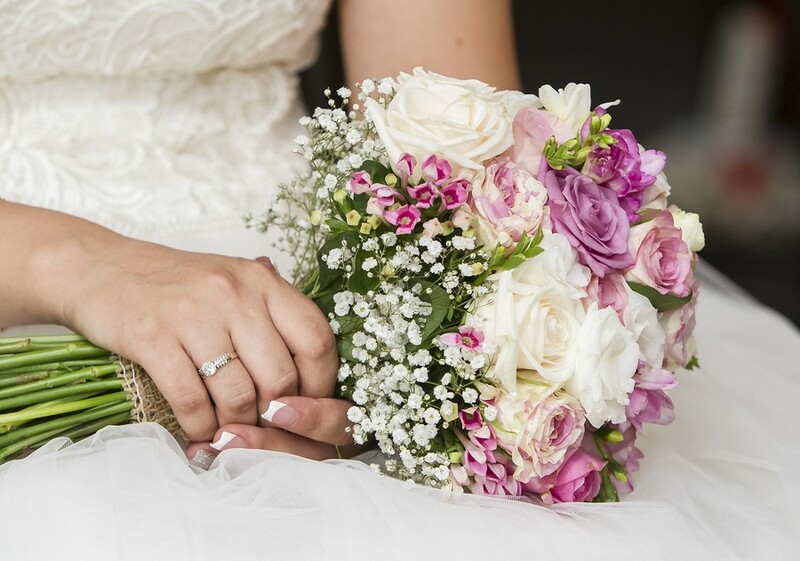 So let us help you do something special for your wedding, and then you can be assured that the favours are organised. 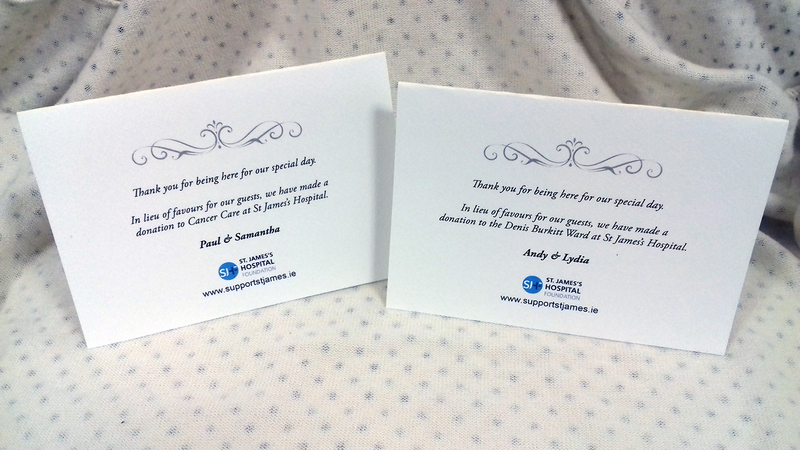 At St James’s Hospital Foundation, we can work with you to create your personalised table cards, to share with your guests, how you have donated to St James’s. We can provide you with personalised cards printed on textured ivory paper, which you can display to your guests at their tables on your big day. It is up to you what you want to donate, but we ask for a minimum donation of €150. Your cards will be personalised with your own message to your guests.